Evelyn Talbot knows that a psychopath can look perfectly normal. She was only sixteen when her own boyfriend Jasper imprisoned and tortured her—and left her for dead. 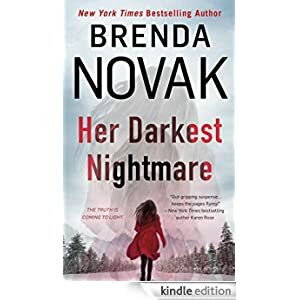 Now an eminent psychiatrist who specializes in the criminal mind, Evelyn is the force behind Hanover House, a maximum-security facility located in a small Alaskan town. Her job puts her at odds with Sergeant Amarok, who is convinced that Hanover is a threat to his community…even as his attraction to beautiful Evelyn threatens to tear his world apart. Then, just as the bitter Alaskan winter cuts both town and prison off from the outside world, the mutilated body of a local woman turns up. For Amarok, this is the final proof he needs: Hanover has to go. Evelyn, though, has reason to fear that the crime is a personal message to her—the first sign that the killer who haunts her dreams has found her again. . .
Buy this romantic suspense novel for only $1.99 today.